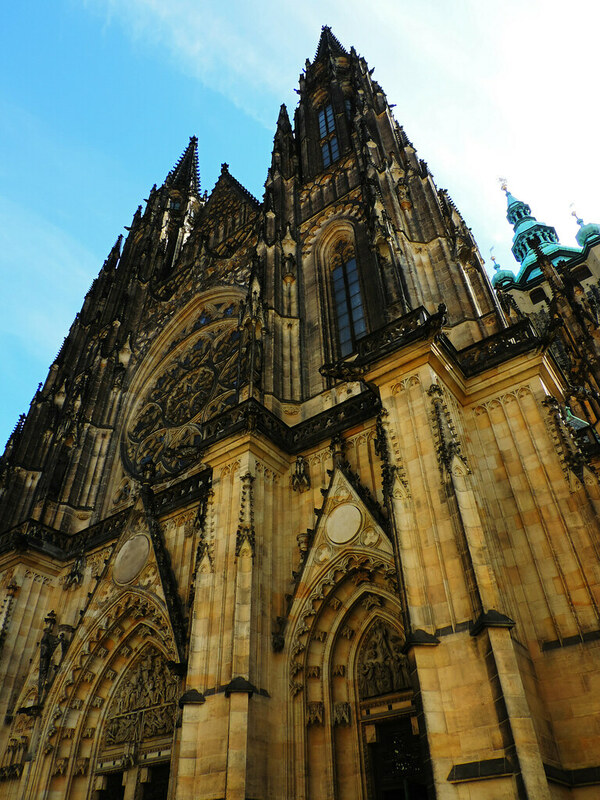 Prague amazed us with its stunning architecture! Walking on the charming little streets of the Old Town was like walking in a fairytale and the castle and Prague’s several giant churches impressed us not only with their size, but also with their style. 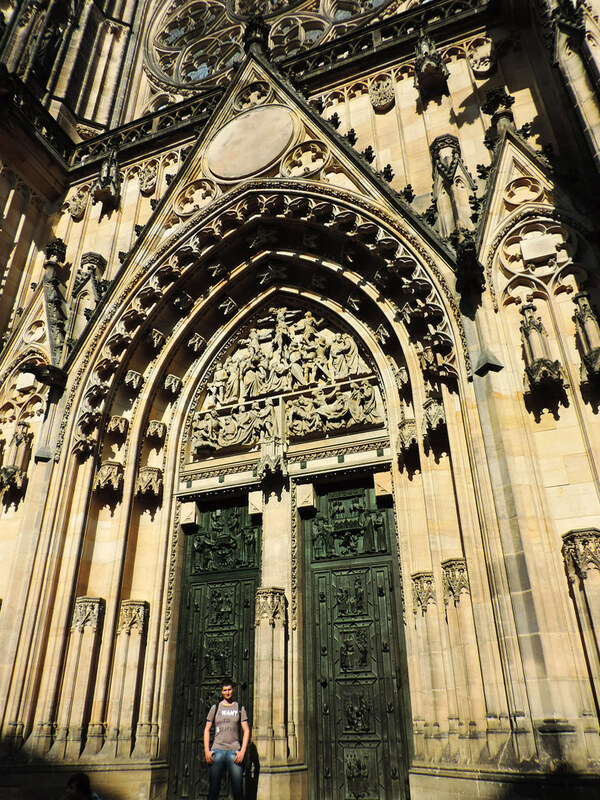 And the most impressive was St Vitus Cathedral. It’s the biggest and probably most important church in the Czech Republic. 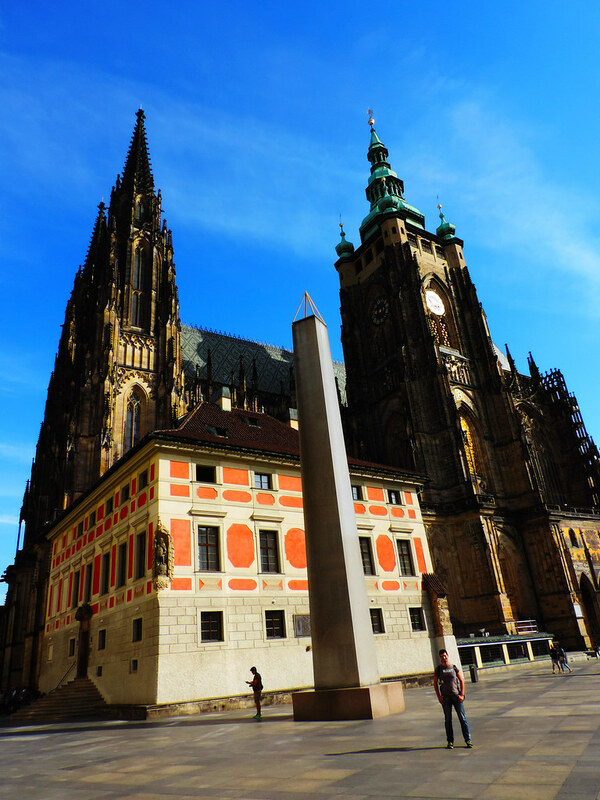 It’s located within the Prague Castle complex and it contains the tombs of many Bohemian kings and Holy Roman Emperors. 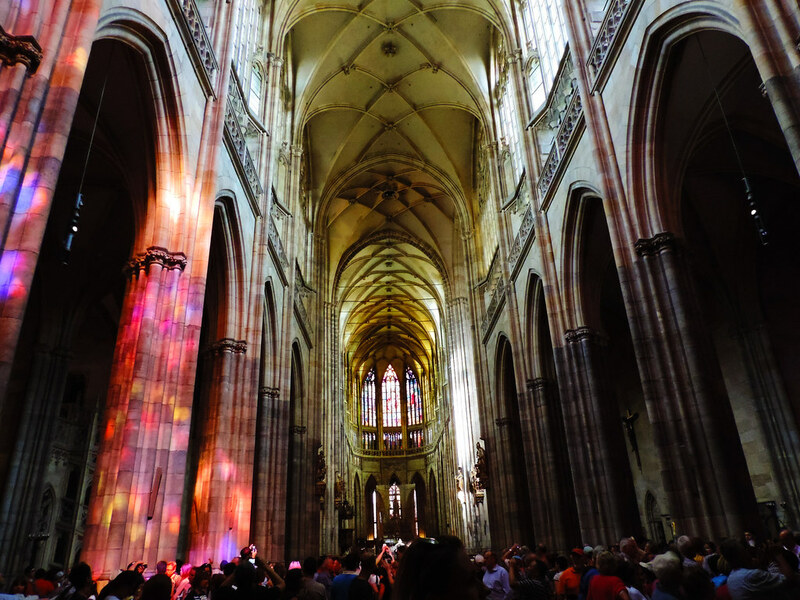 Why has St Vitus Cathedral impressed us? Well, walk to the entrance and try to look up to the top. The size of this cathedral is incredible! The main tower is 96.5 meters high and the building itself is roughly 124 x 60 meters. 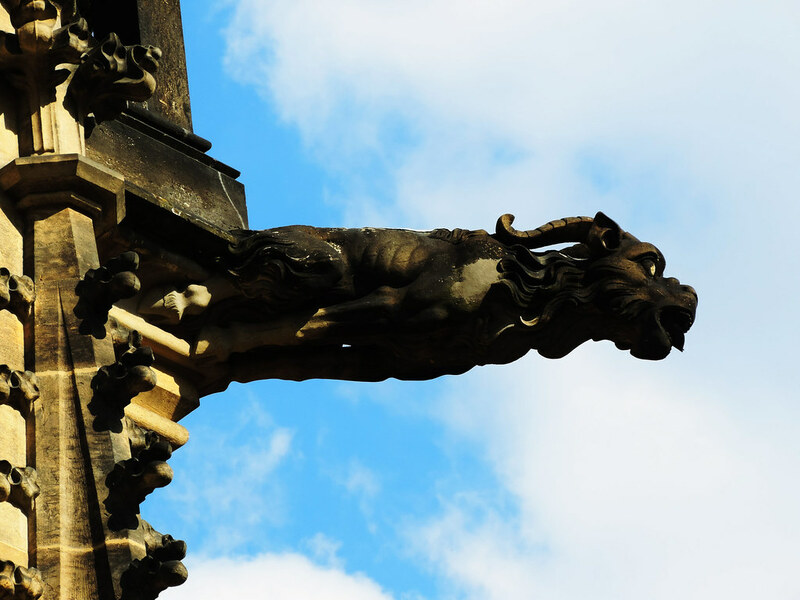 Walk around the cathedral and notice all the decorative figures and countless gargoyles. Oh, those gargoyles! We haven’t ever seen a church with so many of them. Walk inside and get impressed with its size again. If the sun is shining during your visit, you will see everything through the colors of the rainbow – this is the magic of the colorful windows. 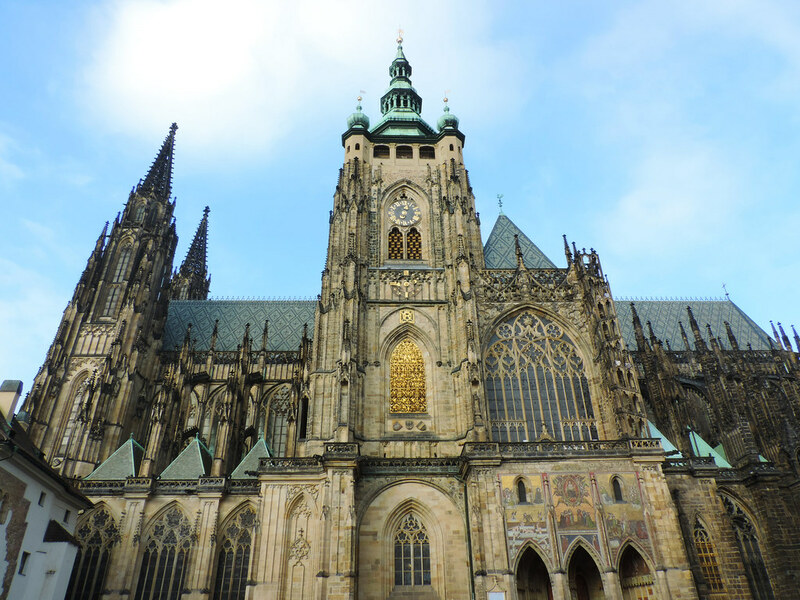 We love the gracefulness of Gothic churches and St Vitus Cathedral is a very beautiful one. 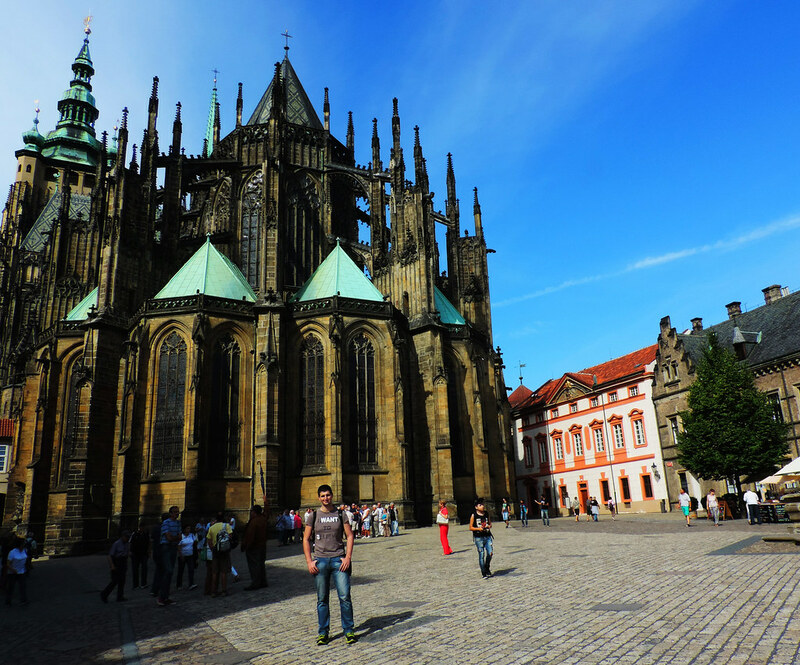 St Vitus Cathedral is a Gothic church with some Neo-Gothic addition. It was founded in 1344 and finished in 1929 – nearly 600 years after it was begun. The building process came to a halt as the Hussite War began in the 15th century and later a great fire damaged the cathedral. Through most of the following centuries the cathedral stood there half-finished and the restorations started only in the 19th century. Several architects have worked on the design: Matthias of Arras and Peter Parler in the 14th century and Josef Kranner, Josef Mocker and Kamil Hilbert in the 19th century. Maybe it took centuries, but finally this masterpiece was finished and today it’s one of the icons of Prague. Do you like visiting churches? Which ones have impressed you the most?